We’re getting into detail on the voice first ecosystem; the opportunities, challenges and future, with curator of the Hearing Voices newsletter, Matt Hartman. This week, Dustin and I are joined by Matt Hartman, partner at Betaworks, curator of the Hearing Voices newsletter and creator of the Wiffy Alexa Skill. 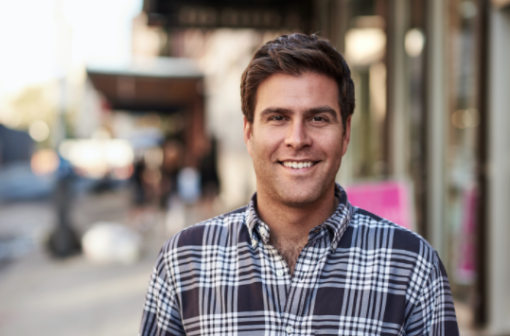 Matt Hartman has been with Betaworks for the past 4 years and handles the investment side of the company. Matt spends his days with his ear to the ground, meeting company founders and entrepreneurs, searching for the next big investment opportunities. Paying attention to trends in user behaviour and searching for the next new wave of technology that will change the way people communicate has led Matt and Betaworks to focus on the voice first space. Matt has developed immense knowledge and passion for voice and is a true visionary. He totally gets the current state of play in the voice first space and is a true design thinker. He has an entirely different and unique perspective on the voice scene: the voice first ecosystem, voice strategy, user behaviour trends, challenges and the future of the industry. Matt curates the Hearing Voices newsletter to share his reading with the rest of the voice space and created the Wiffy Alexa Skill, which lets you ask Alexa for the Wifi password. It’s one of the few Skills that receives the fabled Alexa Developer Reward. Betaworks is a startup platform that builds products like bit.ly, Chartbeat and GIPHY. It invests in companies like Tumblr, Kickstarter and Medium and has recently turned its attention to audio and voice first platforms such as Anchor, Breaker and Gimlet. As part of voice camp in 2017, Betaworks invested in a host of voice first companies including Jovo, who featured on episode 5 of the VUX World podcast, as well as Spoken Layer, Shine and John Done, which conversational AI guru, Jeff Smith (episode 4), was involved in.